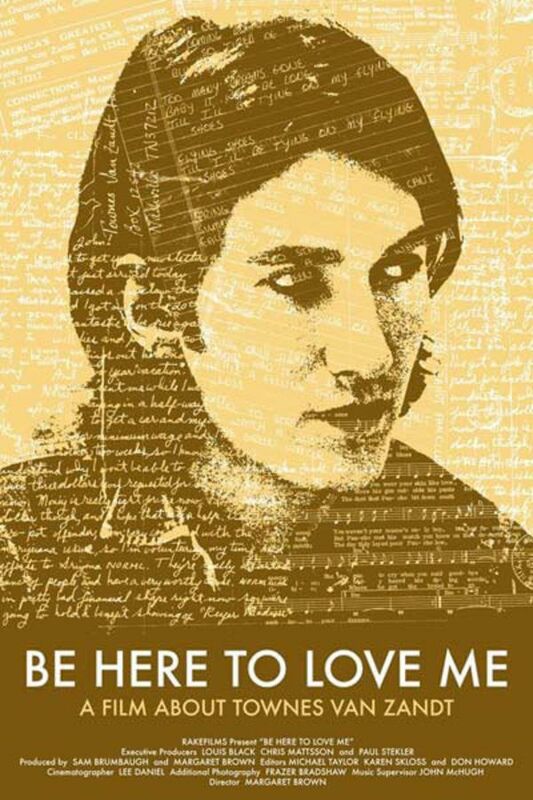 (Be Here to Love Me) An artful, expertly directed portrait of musician Townes Van Zandt-- perhaps one of the greatest who ever lived, inspiring artists from Bob Dylan to Norah Jones to Steve Earle. As a man, a husband and a father his life was as tragic and as beautiful as the songs he wrote. Townes was an enigma to his family, pinned between a deep longing for home and the nomadic lifestyle that was necessary for his livelihood. An artful, expertly directed portrait of musician Townes Van Zandt whose life was as tragic and as beautiful as the songs he wrote. You certainly can’t write like that unless you have experienced great pain. Always beautiful lyrics. Very well done documentary. There wasn't a lot to his story, but i enjoyed watching it. I thought the director did a good job. Did his friends aid and abet his alcoholism. ? Was he different than any of a million alcoholics who probably did at least one creative thing in their lives. Show him drunk and abusive as his son described him, not as a poet on a quest. Fine documentary about a troubled soul - learned more about this artist than I ever thought I would - Townes has always been some kind of mythical figure and this film brings him more to earth. Be Here To Love Me is a small budget intimate documentary of a small budget intimate songwriter. Equal parts personal stories and professional record, it dissects the work looking for a source to the stories that not even Townes knew himself.I would certainly recommend it for fans, but also for those unfamiliar but interested in the mind of a troubled artist.